Quinoa might have competition from ancient grains like teff, but these healthy quinoa recipes prove this gluten-free grain is still tops. Quinoa might have competition from ancient grains like teff and sorghum, but the healthy recipes gathered here prove this gluten-free grain is still tops. Quinoa has a mild flavor, which means it's versatile enough to go into dishes for breakfast, lunch, dinner and even dessert. And unlike some other ancient grains, quinoa cooks quickly — it takes about 15 minutes to make a batch. 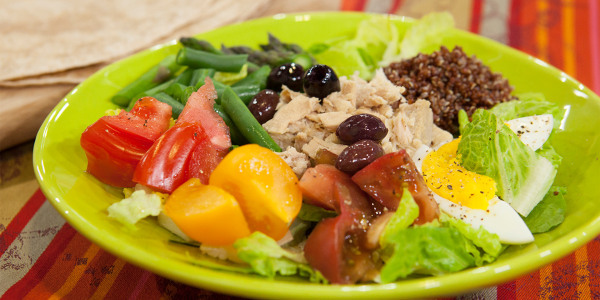 Al Roker shows you how to get more healthy protein into your diet with this niçoise-style salad with quinoa, veggies, tuna and hard-boiled eggs. 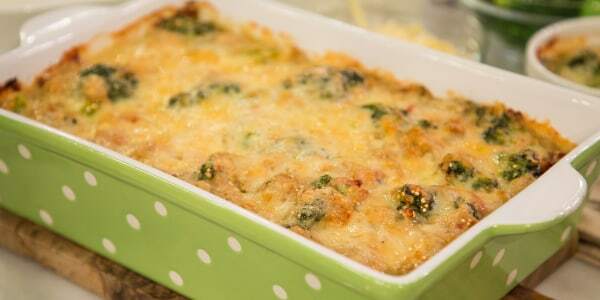 This casserole from Elizabeth Heiskell can be made ahead, and it freezes beautifully for an easy and light weeknight supper. 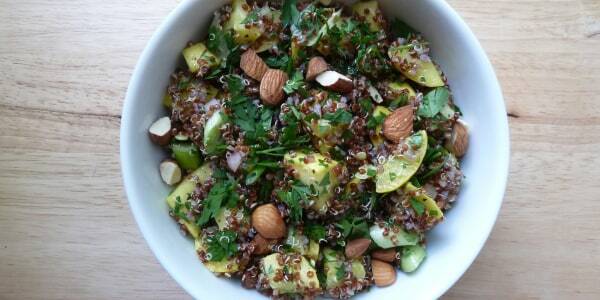 This quinoa salad recipe is healthy, easy, quick and tasty — what more could you ask for? Serve it on its own as a light meal, or add grilled chicken or chickpeas to make it heartier. It also packs well for at-the-office lunches. 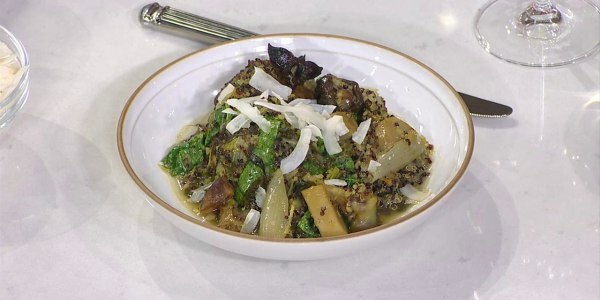 Chef Seamus Mullen shares a recipe for a one-pot dish that's hearty and warming — and might just boost your longevity. 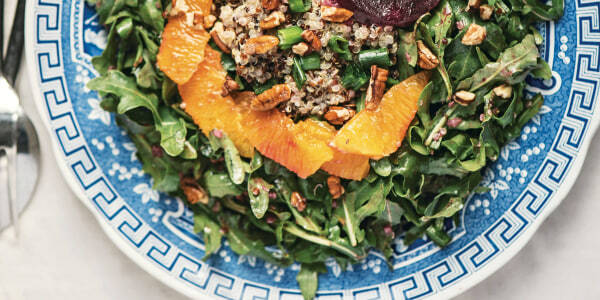 This vibrant quinoa salad recipe is loaded with good-for-you ingredients, including beets, oranges and nuts. 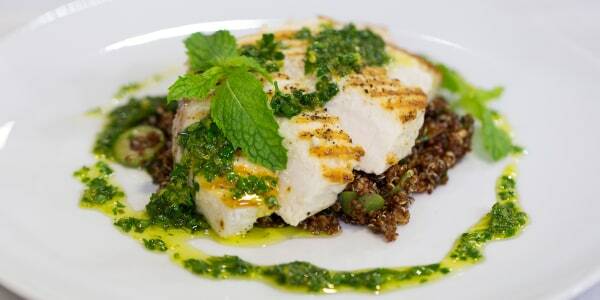 Though it's great with swordfish, this quinoa salad would also be nice with just about any other kind of fish, as well as chicken. 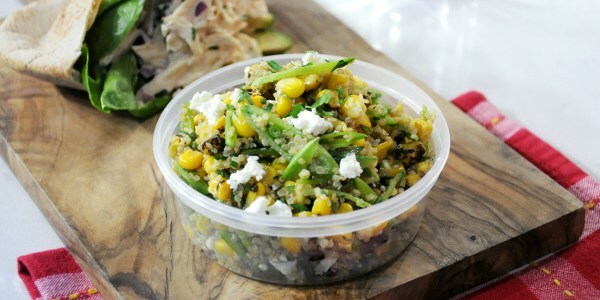 Chef Ryan Scott's quinoa salad packs up nicely for a picnic (or to take to work for lunch — just pretend like you're having a picnic in the conference room). 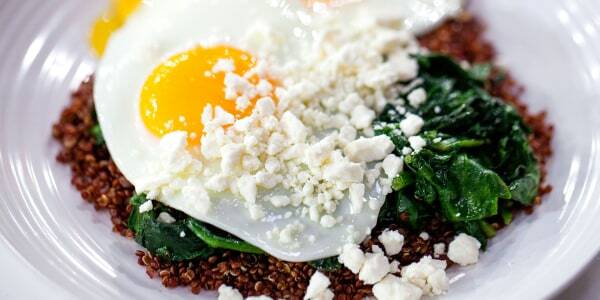 Make a big batch of quinoa at the beginning of the week and you'll be ready to whip up this energy-boosting, protein-packed power breakfast at a moment's notice. Here's another easy, protein-packed meal, courtesy of Al. 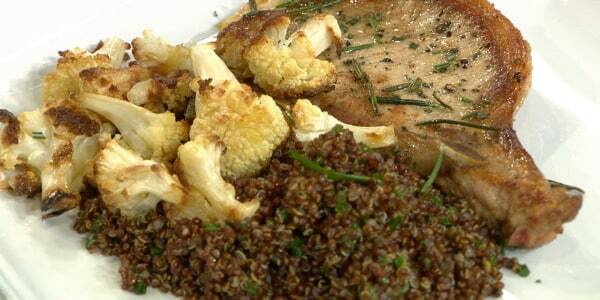 If you're not in the mood for pork, the quinoa with butter and chives would be a nice side dish for chicken or fish. 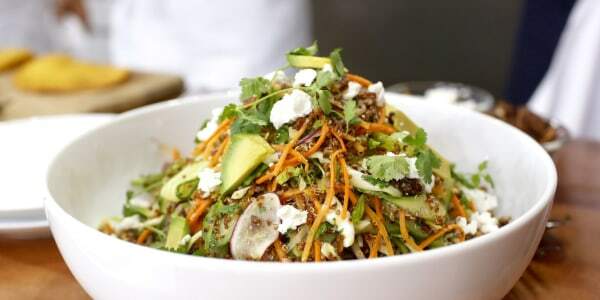 Serve chef Ben Ford's crunchy carrot and quinoa salad as a side for chicken or other meats, or on its own as a light meal. 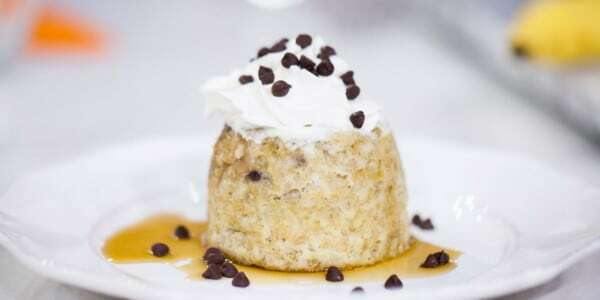 All you need is some leftover quinoa, a mug and a microwave to make this gluten-free breakfast that's high in fiber and potassium. 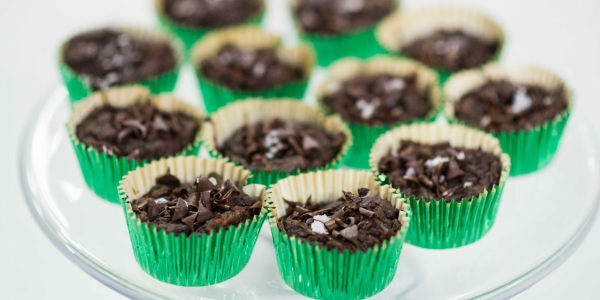 Quinoa flour stands in for wheat flour in this healthier version of brownies. 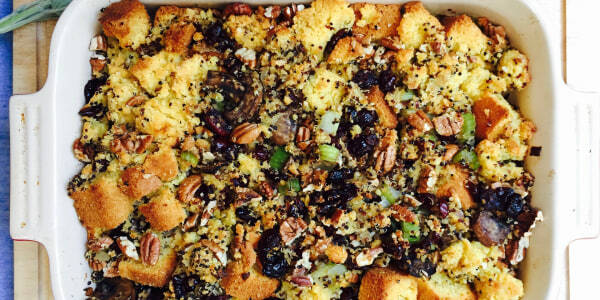 Don't save this gluten-free stuffing recipe for Thanksgiving — have it as part of a healthy dinner tonight. Just add a roast chicken, or another main dish, and green veggies. 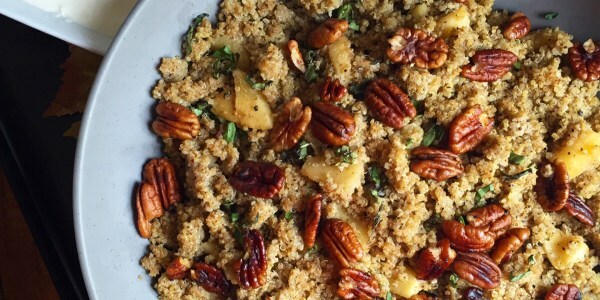 Serve this satisfying quinoa side dish hot, cold or at room temperature. You can even make it several days ahead of serving, so it's perfect for parties or busy weeknights. 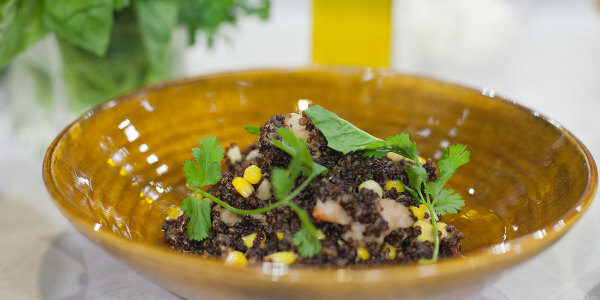 Chef Angelo Sosa shares a simple and healthy recipe for quinoa with shrimp, corn and tomatoes, all cooked in one pot. 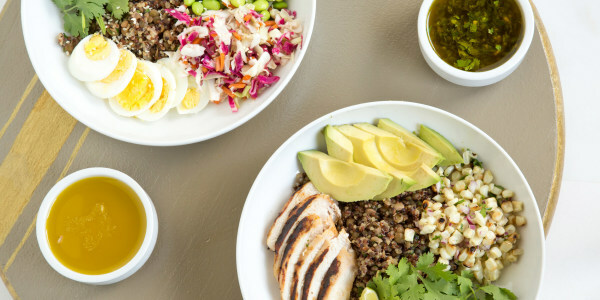 This make-ahead power bowl is packed with protein from quinoa and lentils, and it's easy to pack up for a healthy lunch on the go. This article was originally published on Jan. 3, 2017.